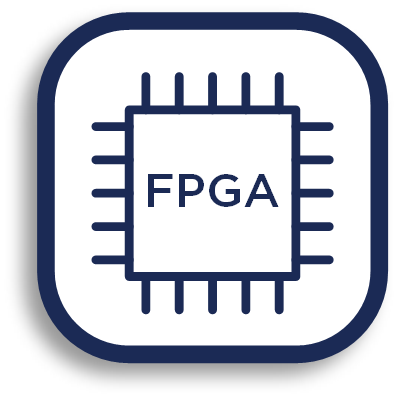 As with CPUs also FPGAs get bigger and bigger and more and more complex. With our experience and know how we are able to cope with even the most complex designs. We set the focus in our development on modularity, reusability, simulation and testability which in the end often leads to simplicity even if the design is very large and in itself complex. This allows us to use the same development flow for simple and very complex designs. We use source control, ticketing and automated build systems to keep track of the development and simplify the development flow. For our designs, we developed a library with the most common building blocks (RAM, FIFOs, AXI, CRC calculation, etc.) and a simulation framework and library (PPS, PTP, IRIG, UART, AXI, etc.) that can be reused and extended for new projects to save time for the development.